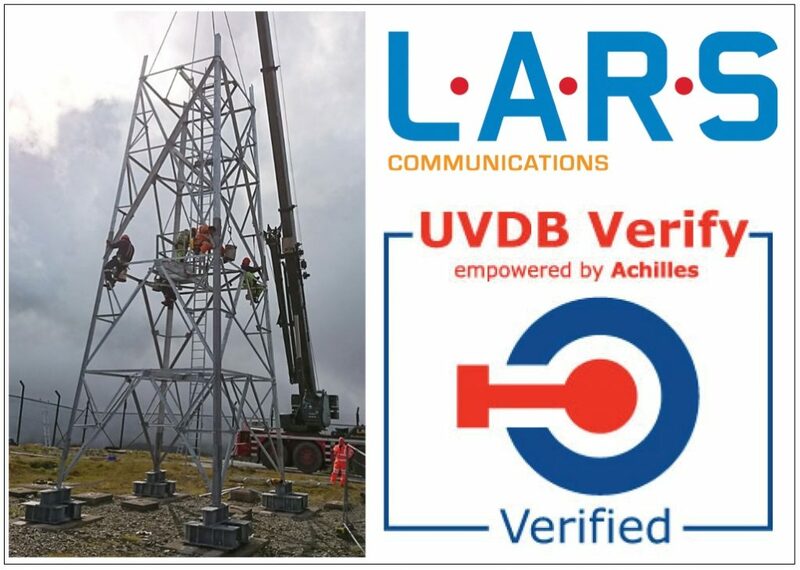 LARS Communications has successfully achieved the required standards set of a recent Achilles UVDB Verify Audit achieving outstanding amalgamated scores of 99% for the Head Office audit and 100% for the Site audit. The Verify Audit was introduced by the Achilles UVDB community to provide a higher level of pre-qualification assurance for buyers within the utilities sector. The objective of the Verify Audit is to establish a formal and consistent audit of a suppliers management system and supporting resources. UVDB accreditation demonstrates LARS ability to meet industry requirements and enables us to show our extensive capabilities to utility organisations throughout the UK. The accreditation, coupled with successfully completed contracts with some of the major power generation companies, has enabled LARS to significantly increase it’s client portfolio within the utility sector in recent years.